Cosequin Equine has been maintaining & improving the performance & joint health of horses for over 20 years. It has many scientific studies, proving that it is effective at improving lameness & stride length in horses with arthritis. Cosequin Equine has been scientifically developed to contain forms of Glucosamine & Chrondroitin that are easily absorbed by your horse. They help to prevent the breakdown of cartilage in the joints, which is a key cause of pain in osteoarthritis. Cosequin also contains Manganese Sulphate, which helps to stop destructive enzymes from damaging the cartilage. 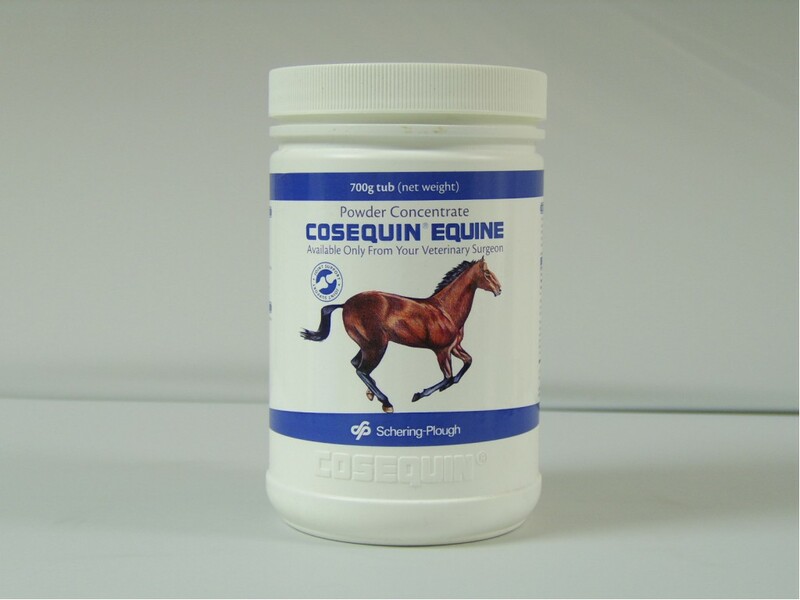 Cosequin Equine is a very cost-effective supplement as the ingredients are so pure. You only need to give your horse a small amount for it to be effective (see instructions below for how long one 700g tub will last your horse). Give initial loading rate for 2-4 weeks, then decrease by 3.3g each week until you reach maintenance rate. Ponies less than 300kg: Loading- Give 6.6g daily. Maintenance- Give 3.3g daily. 700g will last up to 212 days (based on maintenance rate). Ponies/Horses 300-600kg: Loading- Give 9.9g daily. Maintenance- Give 3.3-6.6g daily. 700g will last up to 212 days (based on lowest maintenance rate). Horses over 600kg: Loading- Give 13.2g daily. Maintenance- Give 6.6g daily. 700g will last up to 106 days (based on maintenance rate). Protexin (the manufacturers of Cosequin Equine) are part of the BETA NOPS scheme.